I confess. 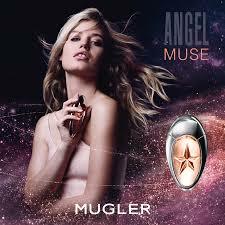 I have not tried any Mugler fragrances. To be completely honest, I have only recently popped my “fragrances cherry”. Perhaps it’s the age or perhaps there’s something about not smoking anymore that opens up your sense of smell. (Yes, I deserve that applause, thank you.) Suddenly, there’s this whole new world that I can access through my sense of smell. 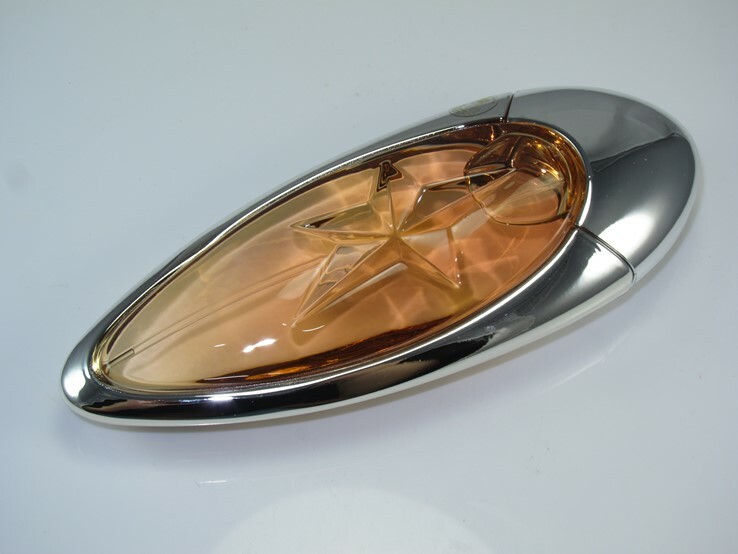 But I digress, back to the angel of this post: Angel Muse by Thierry Mugler. I found it interesting that this perfume claims to be the first gourmand vetiver. What that was exactly, I had to research as well. A gourmand scent is typically those that resemble food smells – vanilla, orange, chocolate, buffalo wings. A vetiver is a tropical grass and has a distinct smell and is mostly used with more masculine perfumes. So, putting it together, a gourmand vetiver is a delicious smelling man. … I am SO on board with this. “Or it could be yummy grass” my daughter says nonchalantly as she reads over my shoulder as I type. My spawn, ladies and gentlemen. Checking the aesthetics, there’s something about the bottle that reminds me of a gadget from Star Trek. Would’ve been more fun if there was a stand so that the bottle was upright. It’s a display piece, in my opinion. Really pretty bottle. Now, here comes the smell test. On the first spray, you can easily smell the vetiver and patchouli but that is the loud opening parade to the sweet berry like scent. Think of the Swiss Guard band leading the way for Strawberry Shortcake. I felt so disappointed because the reviews said that it was more gourmand than vetiver. But I also remembered that there is the factor of time – one has to let the scent settle and mix in with your own skin and scent. An hour later, the smell has become more sweet but quite woodsy. It almost smelled like I was wearing something else. Still later, the smell has settled in to something sweeter. I thought that was quite clever to have a fragrance that seems to evolve and change. I guess this is where the hashtag #HateToLove comes from. Angel Muse, just like a complex beautiful creature, reels you in, blows you a kiss, whispers a promise, ets you down and then at the end of it all, takes your face in her hands and gives you the sweetest kiss. 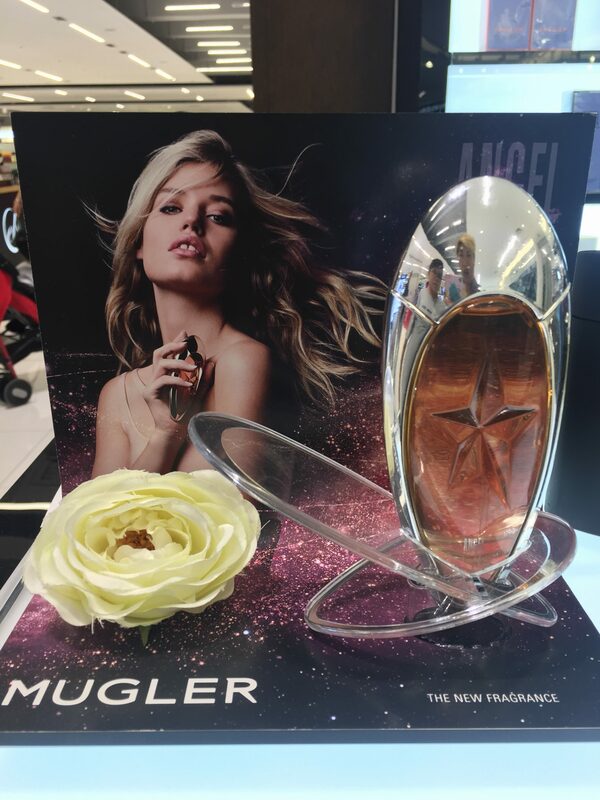 Angel Muse is available at all Art of Scent stores and major department stores.